Kochi, a city in the southwest corner of India has historically been a shelter for Arab, Chinese and European explorers who have left their influences on its palaces, synagogues and forts. FortKochi, a water bound region towards the south-west of mainland Kochi, houses most of the historical marvels created by these explorers. One such marvel is the St Francis Church, which is one of the oldest European churches in India. St Francis Church is a must visit when you are on a weekend trip to Fort Kochi. The church, known for its structural design and ever-charming ambience, is highly influenced by Dutch and Portuguese styles of architecture. The story of how this Church came to be is quite interesting. Vasco Da Gama, who discovered the sea route from Europe to India, landed at Kappad near Kozhikode in 1498. Various explorers and noblemen followed him from Portugal. They built Fort Emmanuel near Fort Kochi with the permission from Raja of Cochin. Within the fort, they built a church made of mud and wood, which later went on to be known as St Francis Church. Over the years it went under a lot of work with the Portuguese, Dutch and the British leaving their imprints on the place. A fascinating aspect of this church is that Vasco-da-Gama was originally buried here. His remains were eventually taken back to Lisbon but the exact spot is marked by a gravestone even today. Tourists recommend a visit to this Church to get a glimpse of the old murals and paintings on the church’s timber framed roof, its decorated wooden pulpit & confessional. With a TripAdvisor rating of 4, St Francis Church is perfect for a family outing or for a solo trip soaking in all the old world charm. 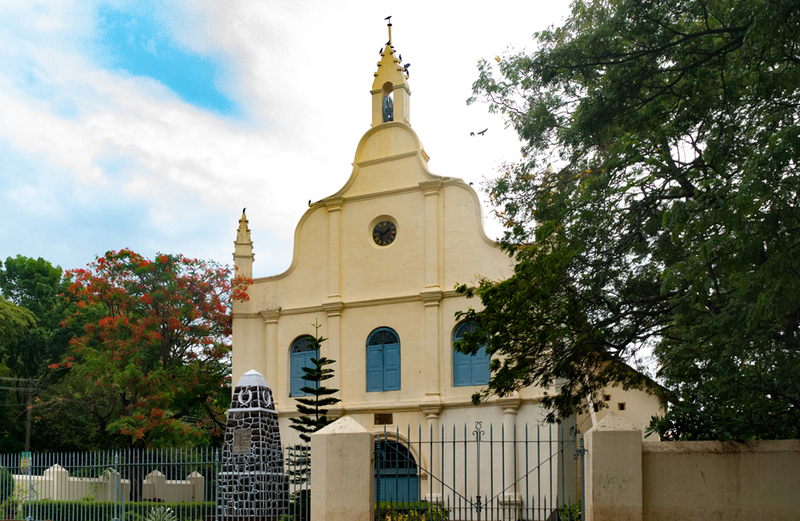 St Francis Church is very near Paradesi Synagogue and the Fort Kochi Beach is just 500 metres away from this place. How to get there – St Francis Church is very near Ernakulum town and is well connected by ferries. The place is just a 5 minute walk down from Hotel Forte Kochi.